Beciul Domnesc Winery - Historical Monument, Why Romania? 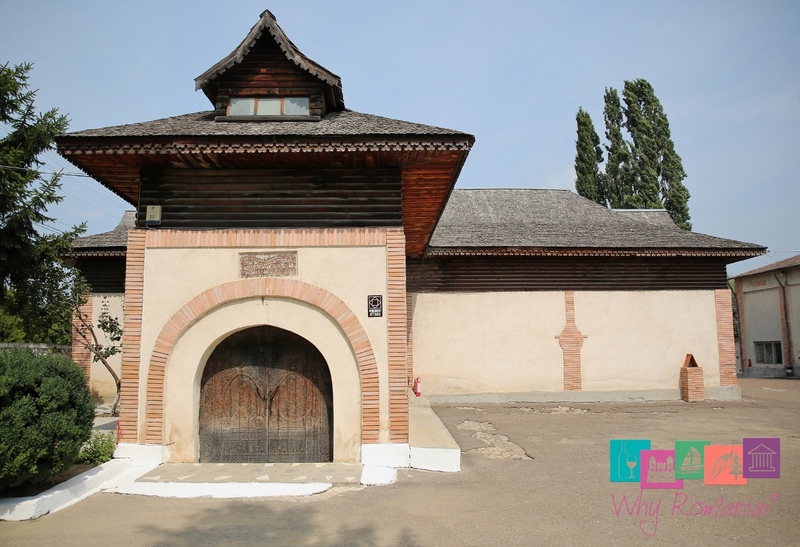 Beciul Domnesc winery is located in Odobesti, Vrancea county, just 14 km from Focsani city. This historical monument dates from the fourteenth century, during the reign of Stephen the Great. In 1834, Prince Michael Sturza, entering into possession of over 200 hectares of vineyards, became the owner of the ruins as well as two stone cellars. One of them was Beciul Domnesc (the Royal cellar). It was renovated and strengthened between 1834-1849. The manufacturer of the cellar, Asanache Panfil, thought of a perfect place for aging wine. Porous stone brought from Milcov was used. Above the entrance of the cellar there is an engraved stone with Cyrillic letters, alongside the emblem of Moldova, the head of an aurochs and flags, symbols proving the age of the cellar. For the reasons described above, this monument is one of the oldest buildings of its kind and purpose in Romania. Beciul Domnesc was included on the List of Historical Monuments of Romania and the National Register of Touristic Heritage in Romania. Since 1944, Beciul Domnesc, looking like a ruin, became active when taken up by Vinalcool Vrancea - the company now called Vincon Vrancea. 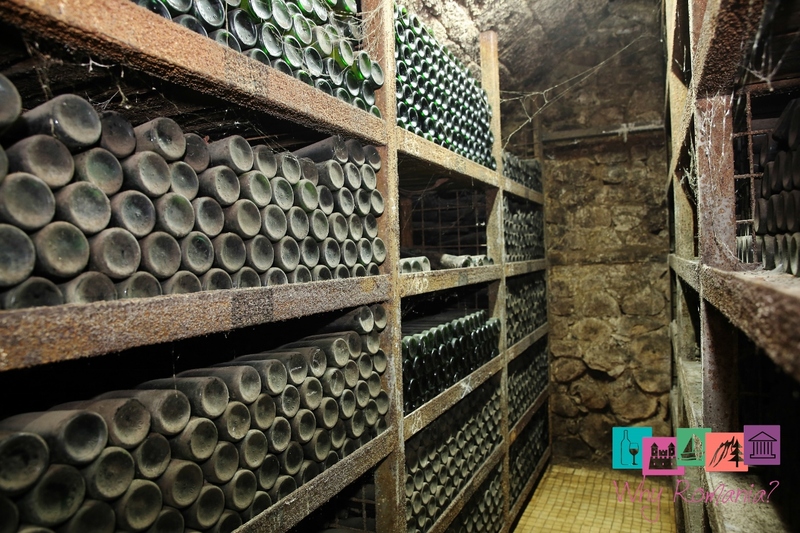 The company started the restoration work needed and brought life back not only to the construction but also to its function - professional wine cellar that houses part of the treasure of Romanian wines. Since 2000, the name of this symbol-winery of the Romanian viticulture and winemaking from the Carpathian curvature was inextricably linked to the name of the company that integrally restored its cellar function, so when we refer to this winery today, we refer to it as Beciul Domnesc - Vincon Vrancea. Beciul Domnesc is cross-shaped and access is done through a massive wooden door in which symbols that recall the cultural and spiritual significance of the cellar are carved. The stone stairs go down to the cellars where we encounter semicircular arches reinforced and strengthened with brick every five meters. The cellar is naturally ventilated through vents provided since its birth. Although the winery is located in full seismic region, it was never destroyed by earthquakes in its 5 centuries of existence. The climate inside the cellar is maintained throughout the year, with a temperature of 7-9 ⁰C and constant humidity, allowing the more than 100,000 bottles of wine to breathe slowly and leisurely, adding more quality, elegance and refinement to each wine. Also preserved here are wines that belong to the cultural heritage of Romania. The oldest wines date back to 1949 - an example is a bottle of Băbească de Nicorești which did not become an "old" wine, but a wine of "collection". As a sign of respect for this valuable legacy and for the tradition of the inhabitants of Vrancea - the region with the largest area of ​​vineyards in Romania, Vincon has created a remarkable selection of wines bearing the names of Beciul Domnesc, Comoara Pivniței, Oenoteca and Vinoteca. Winery can be visited only in organized groups of minimum 8, after obtaining the accept of the company for each such visit, by e-mail at office@vinconromania.com. Bottles of wine can be purchased on the official website﻿ www.vincon.ro.